Valuation multiplesMultiples AnalysisMultiples analysis involves valuing a company with the use of a multiple. Multiples analysis compares the company’s multiple with that of a peer company or are financial measurement tools that evaluate one financial metric as a ratio of another, in order to make different companies more comparable. Multiples are the proportion of one financial metric (i.e. Share Price) to another financial metric (i.e. Earnings per Share). It is an easy way to compute a company’s value and compare it with other businesses. Let’s examine the various types of multiples used in business valuationValuation MethodsWhen valuing a company as a going concern there are three main valuation methods used: DCF analysis, comparable companies, and precedent transactions. These methods of valuation are used in investment banking, equity research, private equity, corporate development, mergers & acquisitions, leveraged buyouts and finance. Using multiples in valuation analysisValuation MethodsWhen valuing a company as a going concern there are three main valuation methods used: DCF analysis, comparable companies, and precedent transactions. These methods of valuation are used in investment banking, equity research, private equity, corporate development, mergers & acquisitions, leveraged buyouts and finance helps make sound judgments for analysts and companies. This is especially true when multiples are used appropriately because they provide valuable information about a company’s financial statusValuation InfographicOver the years we've spent a lot of time thinking about and working on business valuation across a broad range of transactions. This valuation infographic. Furthermore, multiples are relevant because they revolve around key statistics related to investment decisions. Finally, the simplicity of multiples makes them easy to use for most analysts. However, this simplicity can also be considered a disadvantage because of the fact that it simplifies complex information into just a single value. This simplification can lead to misinterpretation and makes it challenging to break down the effects of various factors. Next, multiples represent a single instance of a company’s status rather than a period of time. As such, they do not easily show how a company grows or progresses. Additionally, multiples reflect short-term data instead of long-term ones. Thus, the resulting values may only be applicable on the short-term and not in the longer future. 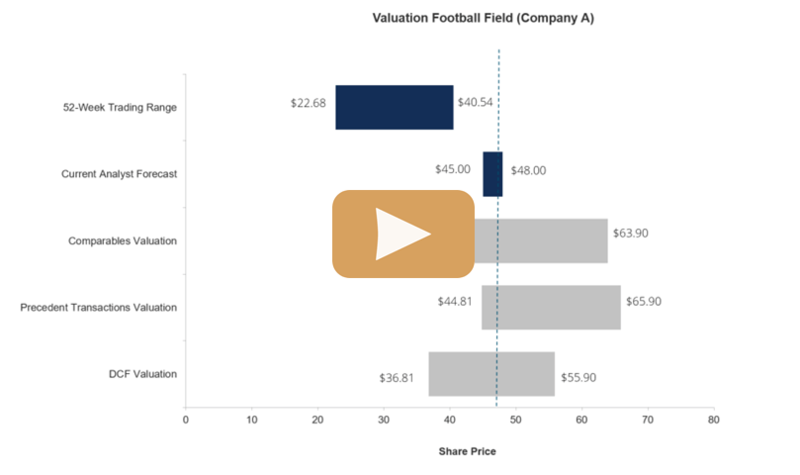 The image above is an example of Comparable Company Valuation Multiples from CFI’s Business Valuation Course. Investment decisions make use of equity multiples especially when an investor aspires for minority positions in companies. The list below shows some common equity multiples used in valuation analyses. P/E RatioPrice Earnings RatioThe Price Earnings Ratio (P/E Ratio) is the relationship between a company’s stock price and earnings per share. It gives investors a better sense of the value of a company. The P/E shows the expectations of the market and is the price you must pay per unit of current (or future) earnings – the most commonly used equity multiple; needed data is easily accessible; computed as the proportion of Share Price to Earnings Per Share (EPS)Earnings Per Share Formula (EPS)The Earnings Per Share formula is a financial ratio, which counts net earnings against the total outstanding shares over a fixed period of time. A higher EPS ratio indicates a company’s ability to generate profits for common shareholders. However, a financial analyst must take into account that companies have varying levels of debt that ultimately influence equity multiples. #2 Enterprise Value (EV) multiples? When decisions are about mergers and acquisitions, enterprise valueEnterprise ValueEnterprise Value, or Firm Value, is the entire value of a firm equal to its equity value, plus net debt, plus any minority interest, used in valuation. It looks at the entire market value rather than just the equity value, so all ownership interests and asset claims from both debt and equity are included. multiples are the appropriate multiples to use. The list below shows some common enterprise value multiples used in valuation analyses. EV/RevenueEnterprise Value (EV) to Revenue MultipleThe Enterprise Value (EV) to Revenue multiple is a valuation metric used to value a business by dividing its enterprise value (equity plus debt minus cash) by its annual revenue. The EV to Revenue multiple is commonly used for – slightly affected by differences in accounting; computed as the proportion of Enterprise Value to Sales or Revenue. There are more equity and enterprise value multiples used in company valuation, this article only presented the most common ones. More readings and a thorough understanding of each multiple and related concepts can help analysts better apply multiples in making financial analyses. 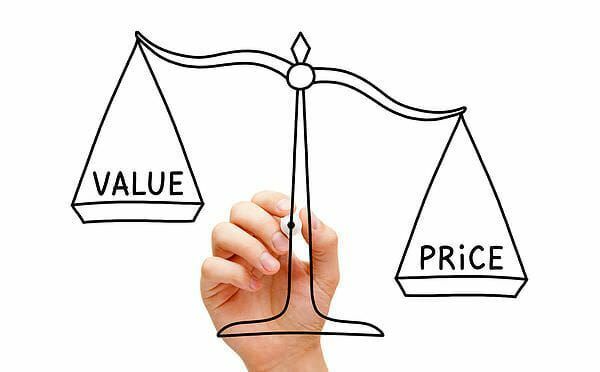 Compare equity value and enterprise valueEnterprise Value vs Equity ValueEnterprise value vs equity value. This guide explains the difference between the enterprise value (firm value) and the equity value of a business. See an example of how to calculate each and download the calculator. Enterprise value = equity value + debt - cash. Learn the meaning and how each is used in valuation. Comparable Company Analysis – This method analyzes public companies that are similar to the company being valued. An analyst will gather share prices, market capitalization, capital structure, revenue, EBITDA, and earnings for each company. Learn more about performing comparable company analysisComparable Company AnalysisHow to perform Comparable Company Analysis. This guide shows you step-by-step how to build comparable company analysis ("Comps"), includes a free template and many examples. Comps is a relative valuation methodology that looks at ratios of similar public companies and uses them to derive the value of another business. Precedent M&A Transactions – This method analyzes past mergers and acquisitions (M&A) for companies in the same industry, which can be used as a reference point for the company that is being valued. Learn all about performing precedent transaction analysisPrecedent Transaction AnalysisPrecedent transaction analysis is a method of company valuation where past M&A transactions are used to value a comparable business today. Commonly referred to as “precedents”, this method of valuation is used to value an entire business as part of a merger/acquisition commonly prepared by analysts. The above screenshot is from CFI’s free guide to precedent M&A valuation multiplesPrecedent Transaction AnalysisPrecedent transaction analysis is a method of company valuation where past M&A transactions are used to value a comparable business today. Commonly referred to as “precedents”, this method of valuation is used to value an entire business as part of a merger/acquisition commonly prepared by analysts! Thank you for reading this guide to valuation multiples. CFI is the official global provider of the Financial Modeling and Valuation Analyst (FMVA)™FMVA™ CertificationThe Financial Modeling & Valueation Analyst (FMVA)™ accreditation is a global standard for financial analysts that covers finance, accounting, financial modeling, valuation, budgeting, forecasting, presentations, and strategy. certification, designed to transform anyone into a world-class financial analyst.